Add beauty and consistency to your home with Phifer SunTex® 90 eyebrow arches. Phifer SunTex® 90 offers approximately 90% shading with good outward visibility and ventilation. Eyebrow Solar Screens made with Suntex 90 is a fabric woven of extremely strong and durable vinyl-coated polyester yarns. The uniform weave design offers excellent outward visibility and ventilation. Shading is approximately 90%. 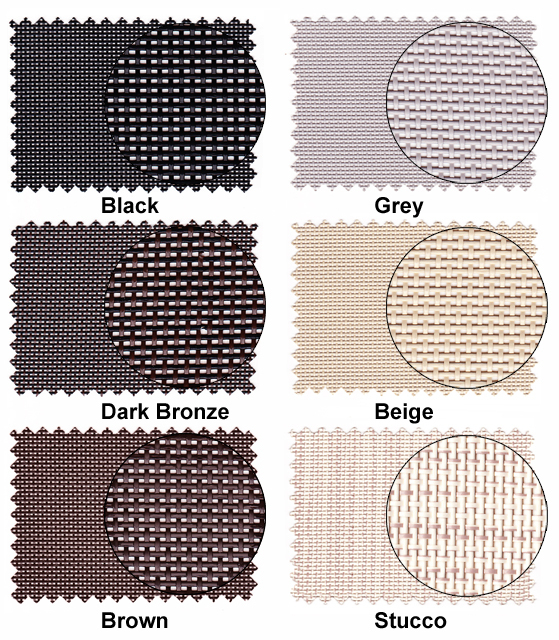 SunTex 90 is available in a choice of five earth tone colors. 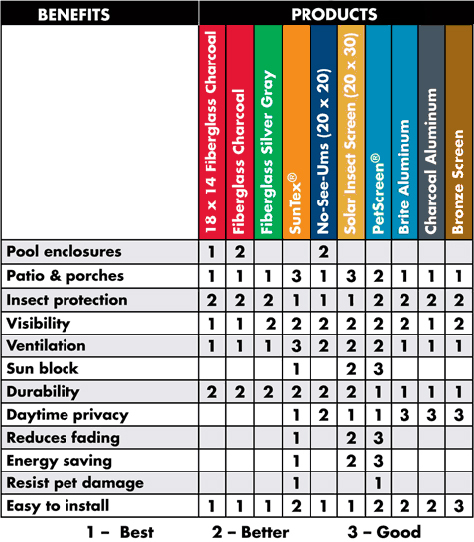 Screen color choices are black, brown, grey, stucco and beige. Five frame color choices.